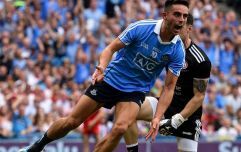 If you’ve ever been to America, Australia or even further afield, you’ve probably seen the global appeal of the GAA at first-hand and the development of our native games far away from home. The spread of the GAA is illustrated in a graph detailing the number of clubs both in every county in Ireland and also in every continent around the world that first appeared in Congress papers in February and was posted on Twitter by the official European County Board account earlier today. The graph was published amidst talk about the GAA possibly gaining Olympic recognition and even its own World Cup in the future and though those possibilities might be well down the road at this stage, the graphs certainly makes for interesting reading. They detail, for example, that there are well over 100 (132) affiliated GAA clubs in the United States, 40 of which are in New York alone, 64 in Australia, 22 in Asia and 71 in Europe, excluding the UK and obviously Ireland itself. In the UK, there are 83 clubs, over a third of which (31) are based in London, with the GAA’s presence felt right the way up to Scotland, where there are five clubs in total. 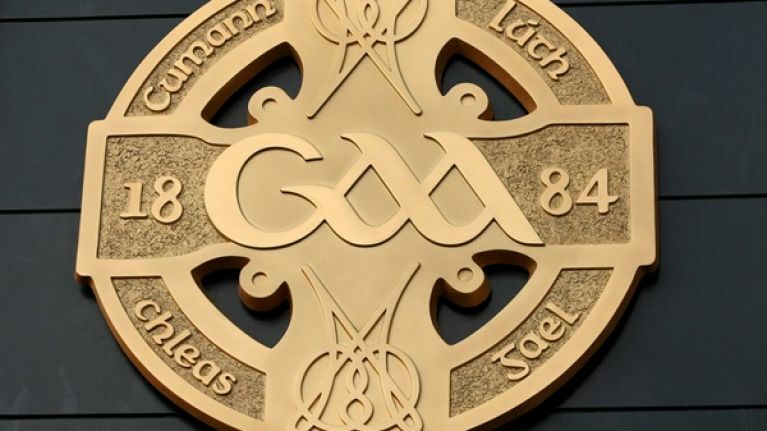 At home, meanwhile, Cork have by far and away the most amount of GAA clubs with 259, well ahead of Dubin (134), Antrim (108) and Limerick (101), while considering the size and population bases of the two counties, it is perhaps little surprise that Leitrim and Longford have the smallest representation with 24 and 27 clubs respectively. 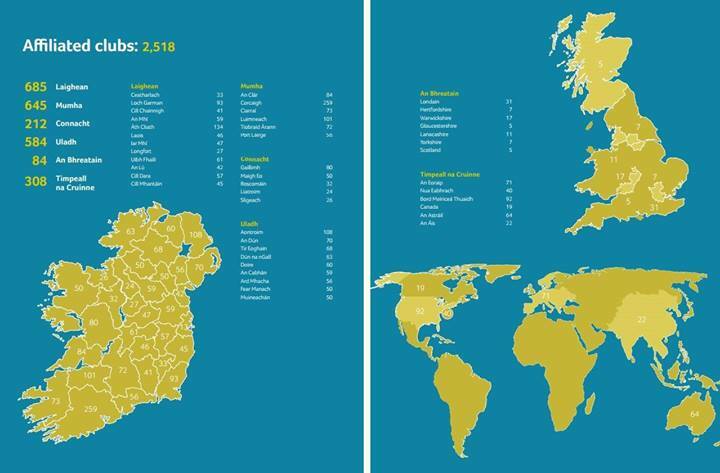 If this map is to be updated in five years’ time you can almost guarantee that the number of clubs abroad, particularly in areas where the GAA is only starting to have an influence, will have increased and who knows, maybe GAA at the Olympics and the World Cup of GAA won’t be that far away after all?